“Every planning situation is different depending on family relationships and circumstances. I try to address any misconceptions and explain what they need to know to understand what their plan is." 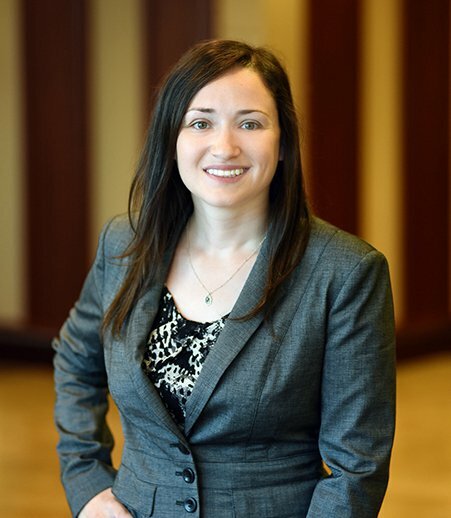 Elizabeth Pack assists in developing estate plans to ensure clients’ financial future and family wealth is protected. She brings experience drafting trusts, wills, powers of attorney and real estate deeds to her practice on behalf of families and individuals. With an eye toward understanding the nuances of each family’s unique situation, Elizabeth’s work includes research on tax issues and how the IRS and courts interpret various regulations. Before joining the firm, Elizabeth was an associate at two St. Louis firms, focusing on tax and estate planning, asset protection, probate and trust administration and long-term-care planning. She has worked on behalf of high-wealth individuals and also assisted lower-income seniors with various aspects of planning. It’s National Estate Planning Awareness Week: What should you remember? You have a trust — now what?